Often times after a loss there are internal thoughts of "what did I do wrong", "if I were still pregnant I would be showing...painting nursery...having a baby shower..ect ect ect", or "Junior should be in my arms by now...celebrating first Christmas ect ect ect". I certainly had these thoughts and I have seen them frequently posted in loss groups on the internet, so I know I'm not alone. It seems to be a common occurrence from my experience. Time passes and a new pregnancy happens! Exciting but scary, the woman fears whatever symptoms or condition that lead up to the previous loss, but is thankful for the blessing of new life. The pregnancy progresses past the first trimester and viability (gestation of 24 weeks). She may have had hard morning sickness but was afraid to complain because at least she was pregnant again and so far has been stable. The baby is now kicking her relentlessly, the feeling is such a blessing! Blessing it may be, the kicks are very painful at times or even causing frequent trips to the bathroom when the baby is jabbing her bladder. “OOWWWWWW these contractions, but we’ll soon have a baby!” she posts. “Deep breaths, and remember you are about to have a baby when some of us are still waiting.” is a comment among otherwise supportive comments. “I’ll take that baby if it’s too much for you. I would sell my soul to be able to hear my baby cry in the middle of the night”. Susie just never stops. It’s not uncommon to not only have a Susie in the group but a Sally and Daisy as well. In a place where one is supposed to feel support and feel like they can vent, they get cut down by those few who are bitter and jealous. I’ve often wondered if the women who act this way ever grieved or completely grieved. The second and third stages of grief is anger and bargaining (grief.com), it’s like they got to one of those points and never moved on, or straddle the fence between the two stages. It’s OK to grieve and actually very normal and healthy. Grieving doesn’t mean that the baby lost will be forgotten no more than grieving the loss of a grandparent means you will forget them. I just do not understand where this idea originated from that a pregnancy or infant loss is not supposed to be grieved but continually mourned? It’s just not healthy and completely abnormal. I’m not suggesting to “get over it” so to speak in a week, grief can and does take time and the amount of time is different for everyone. However, it’s not ok to put others down or shame them because you are in a different place or maybe even stuck at a particular stage. I am going to go back and address the pain topic. When is a woman not allowed to voice pain and discomfort, especially labor pains? A person in pain is a person in pain, period! She has every right to voice her discomfort, as well as anyone else in any condition. It’s like an amputee telling a person with a broken leg to keep their pain to themselves and just be thankful they have a leg to brake. An amputation is usually not a surgery any decent doctor takes lightly. My guess the amputation was to save the person’s life or prevent an infection from spreading to other limbs and losing multiple limbs. No doubt an awful and life changing life event. My sympathy goes out to them but telling someone to just stomach their pain because they have it worse is cruel. It’s the same when a pregnant or new mom is told to shush it because she has something another wants. It’s like Mean Girls the pregnancy edition. Hurting inside doesn’t make it ok to hurt others. 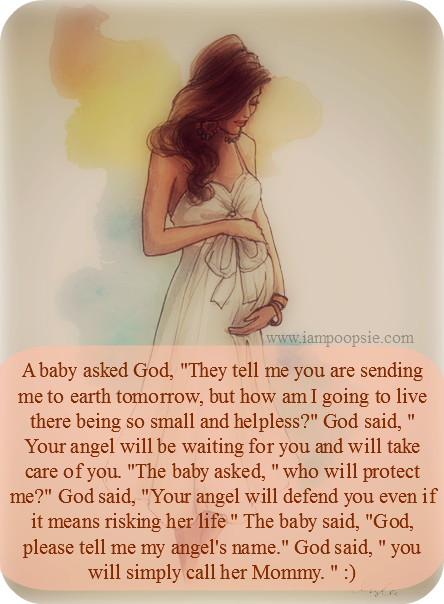 Pregnancy is uncomfortable and can be painful, especially towards the end. It’s not secret or mystery that labor is extremely painful for the average woman. Those first few weeks with a newborn are tough with all the adjustments and lack of sleep. A woman has just as much right as anyone else to vent about throwing up ten times in a day or any other pain that comes her way. On the same side of that coin, no one likes a constant complainer no matter what the situation is but everyone needs to vent sometimes.